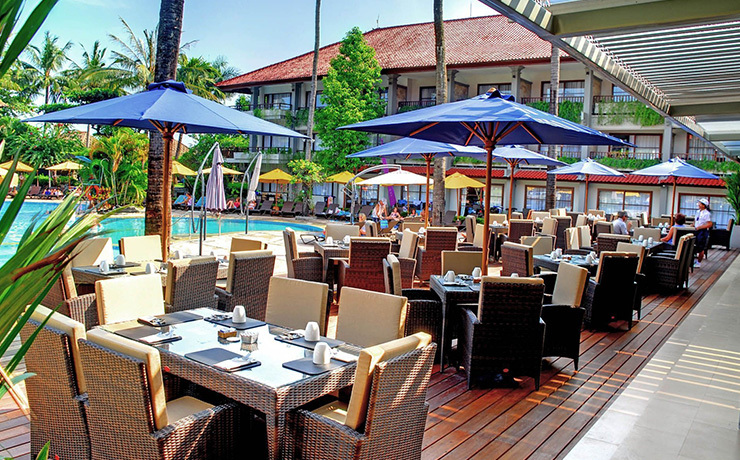 The Bali Dynasty Resort is a beachfront resort walking distance to loads of restaurants, bars, markets & Waterbom park. A fantastic family resort with kids rooms sleeping families of up to 5, some rooms offer a separate sleeping area for kids with their own TV area. The kids club is one of the best in the area catering to children aged 4 -12yrs & a teens club for kids aged 12-16yrs. The resort also has a kids pool with splash zone and waterslide. Mum and dad are forgotten here either with a adults only pool area, swim up pool bar, spa & 6 restaurants & bars to enjoy. * Return airfares & taxes flying Garuda Indonesia, a full service airline. Your airfare includes a 30kg luggage allowance, meals, drinks and in-flight entertainment. 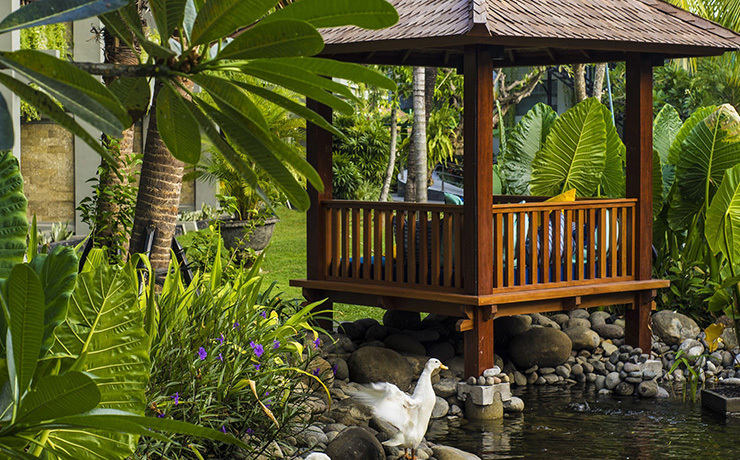 * Resort activities including Kids Yoga, Duck Feeding, Art Workshops, Cooking Demo, Treasure Hunts, Bingo and more! 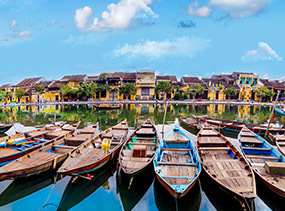 Advertised price valid for travel 5 May - 20 May, 24 Jul - 14 Sep & 6 Oct - 10 Dec 19 subject to availability, higher priced airfares may apply to specific dates within this period when promotional fares are sold out. 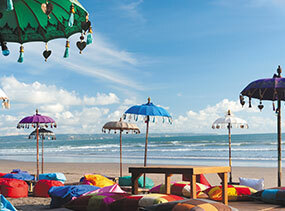 If you want to get a taste of the real Bali, no trip will be complete without a visit to Kuta. 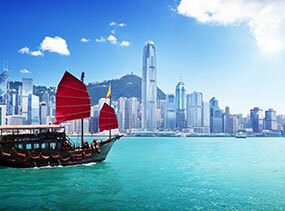 With a huge range of bustling, vibrant nightclubs and more shopping than you'll know what to do with, this area really is a holiday maker's paradise. 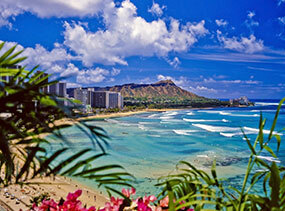 While you're there you should make sure you stay at a resort that measures up to the stunning surrounds. Bali Dynasty Resort could be the perfect fit, with a beachfront location marrying nicely with warm Balinese hospitality to create a holiday experience to remember. You'll be blown away by the huge range of facilities on offer here, starting with six onsite restaurants to whet your appetite. Catering to all types of budgets and taste, each has its own theme and cuisine, ensuring you need never leave the resort - unless, that is, you want to. Chow down on Chinese, Irish, Western, Asian or Italian options, beside the pool or in air conditioned class. Move from restaurant to poolside, whether it's the main pool complete with swim-up bar or the Lazy Pool - no kids allowed! Send the wee ones down to the kids' pool, which is decked out with a 56 metre waterslide and water fun zone for them to frolic amongst. 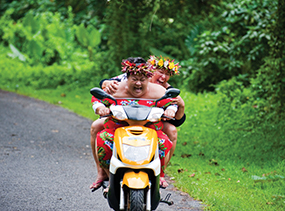 Speaking of tiny terrors, the Kupu Kupu Kids' Club will keep them thoroughly entertained for the duration of their stay. Regarded as one of Bali's best kids' club facilities, the area is made up of an air-conditioned club house, pool, mini water slides, water curtain, hose jets and, most importantly, a professionally trained team of staff. They'll make sure your kids aged between 4 and 12 are well taken care of, giving you adults a chance to sneak away and get some much-needed rest. 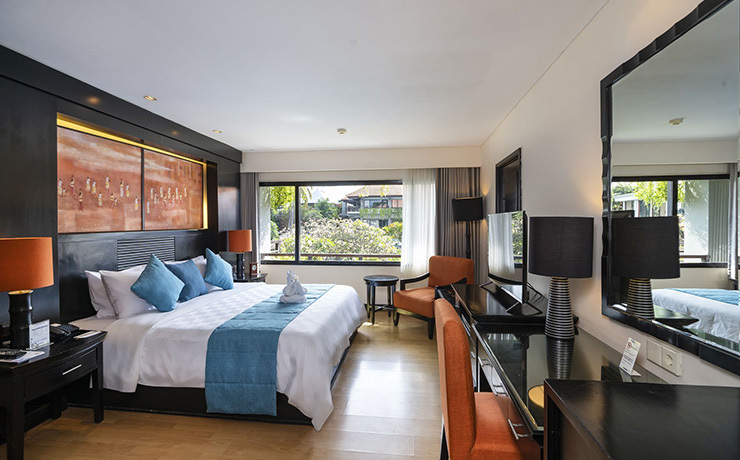 The popular Bali Dynasty Resort is nestled in tropical gardens within walking distance to the nightlife and excitement of the central Kuta area. 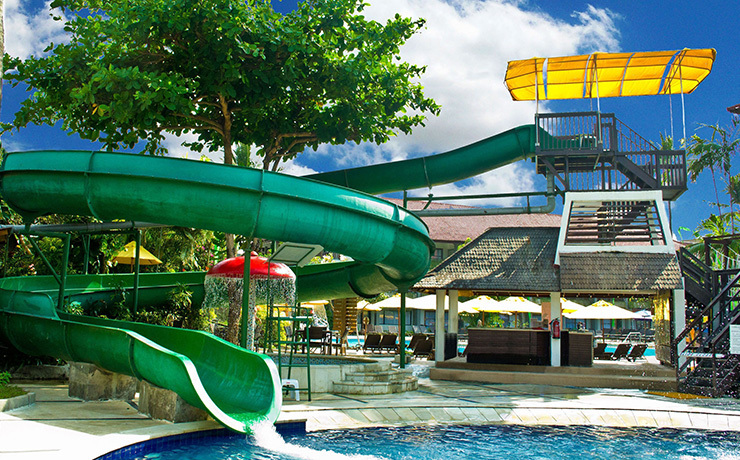 Waterbom Park is across the road and Bali's Discovery Shopping Mall is a short stroll away. 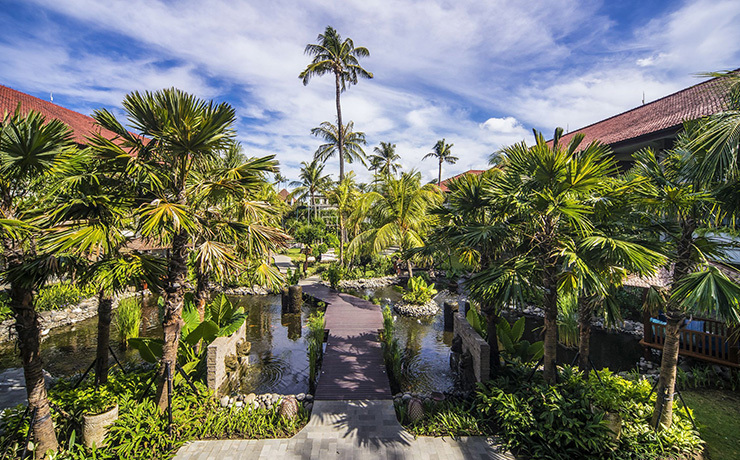 The resort is renowned for its warm Balinese hospitality and combines international standards with Balinese architecture. Tucked away in the district of Tuban, the resort rests in 2.5 hectares of lush green gardens close to the beachfront. It is located just a short stroll from the excitement of Kuta and less than a 15 minutes drive from the airport. The Bali Dynasty Resort prides itself on being a complete resort by providing a wide range of in-house activities and facilities to suit both the active and the not so active. With a total of 3 swimming pools, a main pool with swim-up pool bar, Lazy Pool ('No Kids Zone') and a dedicated kids pool with waterslide. 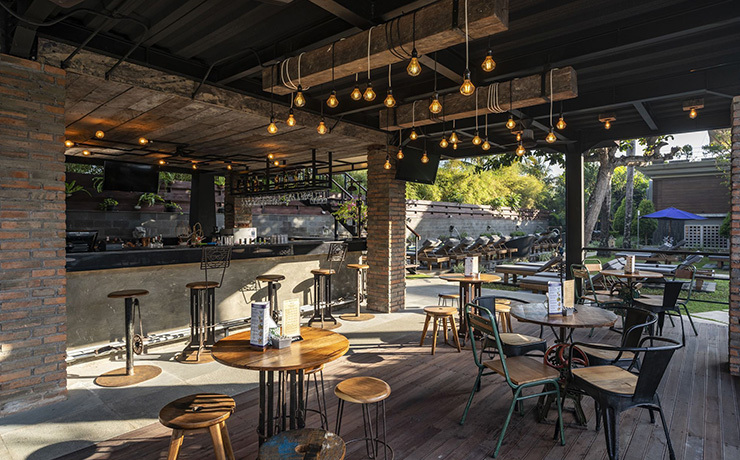 There are plenty of spaces for both the adults and kids to enjoy, if you are looking for even more sun there's the new Beach Club a dedicated area for Bali Dynasty guests right on South Kuta Beach. 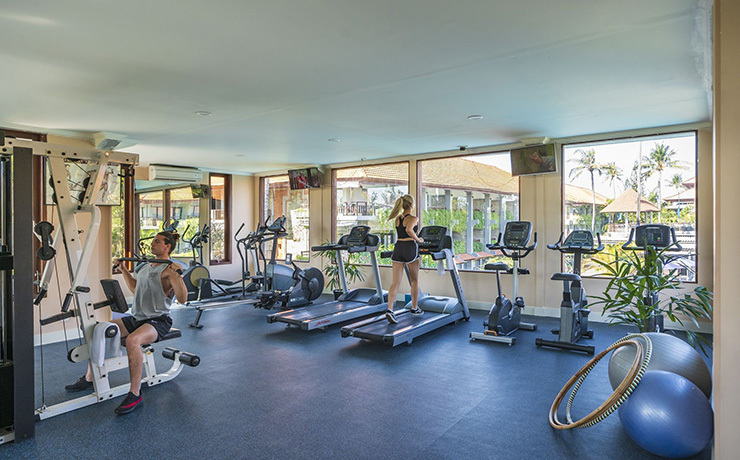 For the active, visit the exercise room available for in-house guests between the hours of 6am to 10pm daily. Access is through the use of the electronic room key card. A qualified attendant is standing by to assist you with the use of the machines between certain hours. If that's not the type of holidays you are looking for visit The Ashoka Spa at the Bali Dynasty Resort offers both spa packages and traditional massages to help you unwind and relax. Ashoka Spa provides private double and single air-conditioned treatment rooms, 16 massage beds and two saunas. Families are well catered with the large dedicated kid's pool is adjacent to the air-conditioned Enchanted Garden Kids Club which provides a number of complimentary activities for children aged 4 to 12 years. The Hospitality Lounge ensures guests enjoy their stay long before and after they check-in and out, this facility overcomes the problems with both early arrivals and late checkout. Guests can use the lockers, shower and changing facilities as well as the facilities of a luxurious lounge until either their room is ready or until their time of departure. Being a complete resort, the Bali Dynasty boasts a choice of 6 restaurants to enjoy. Each has its own individual theme and caters for different budgets from fine dining to casual dining with a variety of entertainment options. 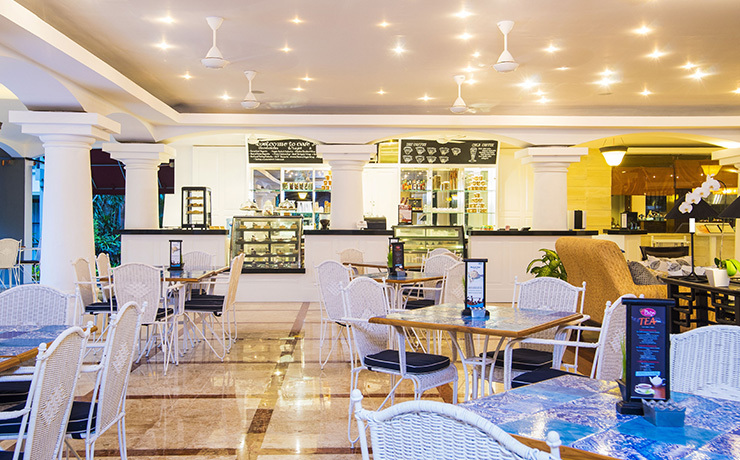 Choose from Chinese, Irish, Italian, Western, Asian and Indian, al fresco beside the pool or in air-conditioned comfort. There's so much variety and the meals are such good value that you won't ever feel a need to leave the resort! The resort is able to cater for special dietary requirements, including gluten-free, so please inform your Holiday champion in advance! SEN5ES is open daily from 6 to 10.30am serving an extensive Buffet Breakfast for guests staying in Deluxe Rooms and is open again from 6 to 10pm serving a Pan-Asian menu for dinner. The open kitchen enables the chefs to cook directly on the buffet. The induction hot plates and special chafin dishes ensure that the food is kept fresh and maintained at the correct temperature. H2O restaurant is located at the poolside. Open daily from 7am to 10pm serving breakfast for families, lunch and dinner H2O provides al fresco dining at the poolside with full bar facilities for breakfast, lunch and dinner with a different theme everyday. All theme nights are located at the poolside (weather permitting) and are accompanied by live entertainment. Cafe Piazza is located in the new Piazza on the lower ground level. Open daily from 10.30am serving specialty coffees, pastries, cakes, sandwiches and light meals. Watch the world go by in the Cafe Piazza. Select a speciality coffee from our extensive coffee menu and choose from a tempting display of freshly baked pastries, cakes and breads. Make your selection from the Deli display and compile your very own sandwich from our wide selection of imported meats, salads and cheeses. The Queens of India is open daily at the Bali Dynasty Resort from 11am to 10pm, conveniently located at the main entrance to the hotel. 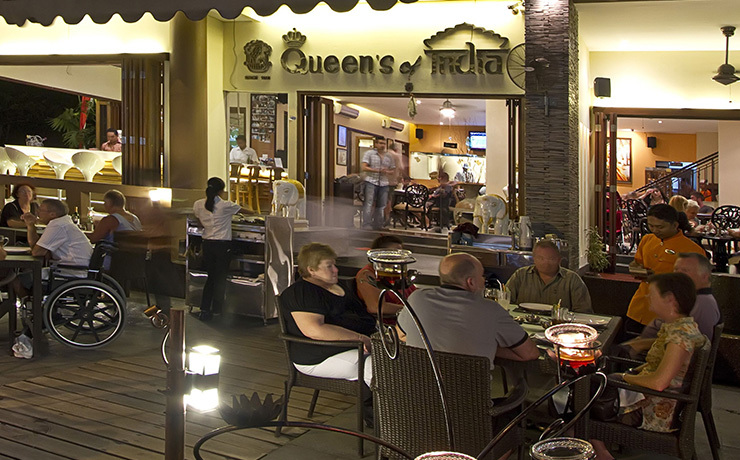 Queens is part of the oldest established Indian Restaurant chain in Indonesia and also boasts branches in Singapore, Manila, Jakarta and Seminyak in Bali. Each evening,H2O adopts a different themed menu from around the world and is accompanied by live entertainment. 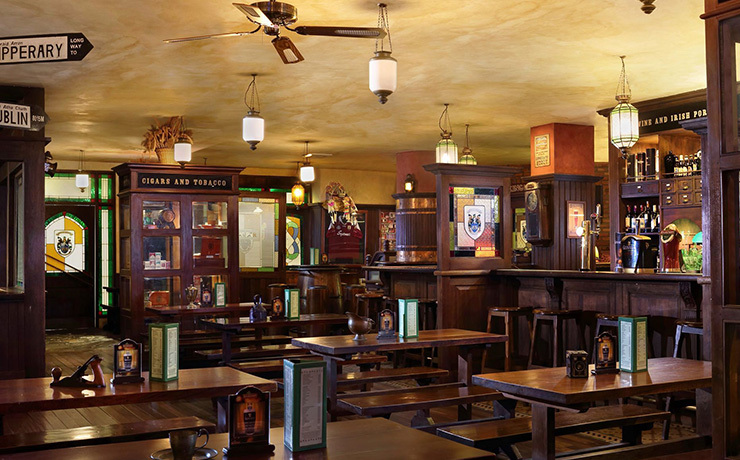 Gracie Kelly's boasts to be Bali's first (and only) original Irish Pub. The interior recreates a 100 year old shop pub in rural Ireland. Enjoy wholesome home cooked food from Gracie's Kitchen whilst sipping a pint. Live entertainment every evening. The D Lounge boasts large comfortable sofas in which to relax and watch the goings on in the lobby; it also offers wireless internet access and is a good spot to enjoy a sun downer cocktail or a night cap. The chic cocktail bar is open daily from 11 am until midnight and features a modern white onyx bar which, as the sun sets, has special lighting effects that make it gradually change colour, creating a great atmosphere. The central feature of the D Lounge is the grand piano, which can even play by itself!. 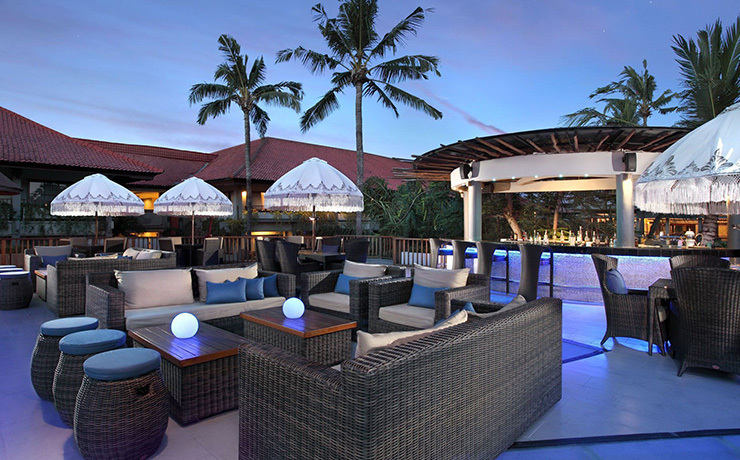 The Sunset Bar is the perfect vantage point from which to watch the world go by and see the amazing Bali sunsets. Enjoy our famous Love Bucket Cocktails and our Happy Hours between 12 - 1 pm and 5 - 6 pm daily. Cool off with a refreshing dip and visit our Swim-up Pool Bar, open daily from 10.00 am to 9.30 pm with Happy Hours offering discounted drinks. 312 rooms and suites occupy 3 levels with a range of room types including the Family Studio rooms with portioned area that sleeps 5 people. The ground floor Family Room sleeps 5 people and the Kids Suites with bunk bed located in a portioned area and second television and Play station, can sleep a maximum of 5 people. All Family Rooms have air-conditioning, 2 flat screen TV , DVD Player, fridge, mini-bar, tea/coffee making facilities and personal safes. Deluxe rooms are located on the 2nd and 3rd floor of the building and face the outer or inner gardens. 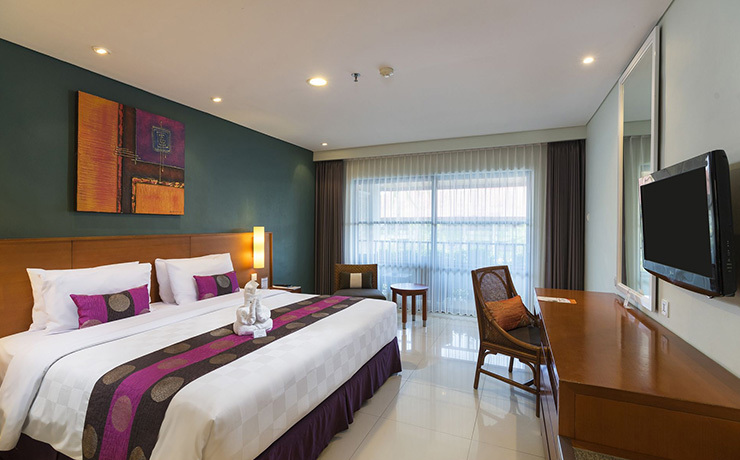 Rooms are 32sqm and feature LCD screen TV, DVD Player, modern bathroom with shower only. They can accommodate a maximum of 3 people. No interconnecting rooms. Deluxe Pool View rooms are the same size and facilities as the Deluxe rooms, located on the 2nd and 3rd floors in the wing right next to the pool. The Family Garden rooms have a partial wall between the king bed and bunk beds/trundle accommodating a maximum of 5 people and feature 2 flat screen televisions and a DVD player. One baby cot is allowed if the trundle is not used. These rooms are located on the ground floor of the wing with the terrace opening to the outer garden. The wing is closest to the Kids Club and beach access laneway. The Kids Suites are located on the ground floor, these rooms has a terrace opening on to the outer gardens and have a full partition separating the master bed from the kids area with bunk bed, 2 LCD televisions, DVD and play station. Room size is 40sqm, bathrooms feature en-suite bathtub and massage shower. 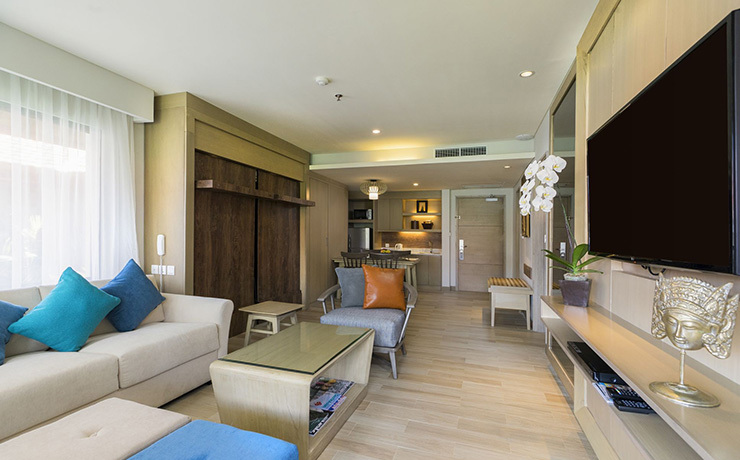 The 27 Family Studio rooms are located on the ground to 3rd floor in the Banyan Wing at the front building of the hotel. These rooms are larger at 47sqm. Accommodation consists of two sections divided by a full floor to ceiling partition and blackout curtain, a king size bed, a bunk bed and trundle bed. The Master Room opens to a verandah with view over the front garden and pond. The en-suite features a large step in rain shower and double basin unit to ensure sufficient room for the family. 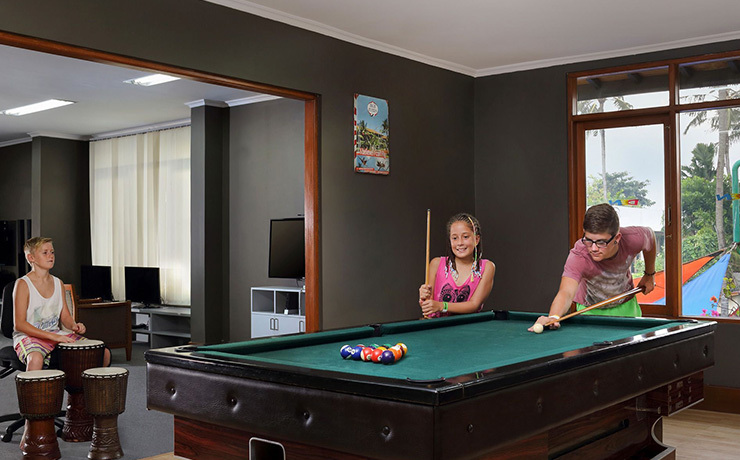 Family Pool rooms are the same design, size and layout as the Family Garden rooms, they are located on the ground floor with the terrace facing the pool. Executive Suites are located on the any of the 3 floors, facing to the inner garden and pool. Room size is a spacious 70sqm and feature small kitchenette with fridge, water dispenser, microwave, oven, toaster and kettle. 3 sofas (approx. 1.7m) can be converted to beds in the evening for children below 12 years only. Consisting of 2 standard room bays, the master bedroom has access to the bathroom and as well as the lounge/dining area. Kids 12 years and under eat FREE from buffet when accompanied by a full paying adult. The Kupu-Kupu Kiddies' Club is renowned as one of Bali's best Kids' Club facilities. 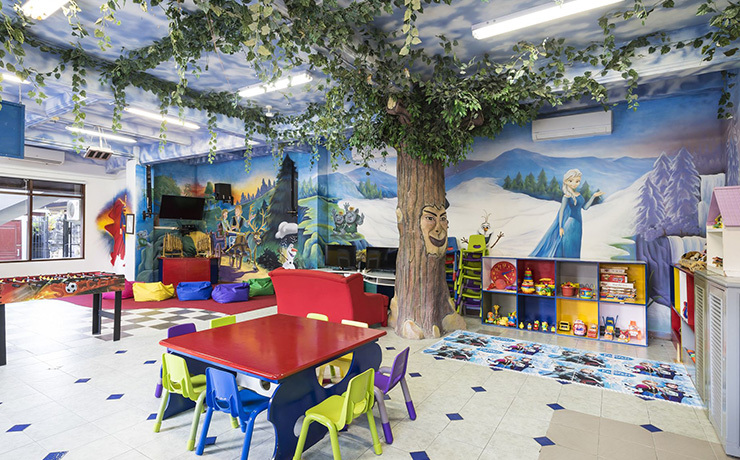 The Kids' Club area is divided into two sections with the ground floor consisting of the 'Enchanted Garden' theme air-conditioned kids' club catering for ages 4-8 years, whilst on the second floor The Den caters for those aged between 8-12 years of age with a different set of activities whilst ages 12 - 16 may use this facility as they please. Adjacent to the kids club is the Kids Water Fun Zone with its' giant tipping bucket, two mini water slides, pull ropes, water curtain, tipping cone, bubbler jets, hose jets, water cannons and tipping troughs enabling the kids to have hours of fun. To the north of the Kids Pool is the baby pool with it's mushroom water fountain and beyond that is the new kids play area with swings, climbing frame, seesaw, slides and table tennis. A professionally trained team of staff are on hand to ensure the utmost safety and security of children with a full, action-packed list of activities that enables parents to enjoy a relaxing break. All the facilities within 'The Den' are free of charge and include: pool table, darts board, board games, Nintendo Wii, 2 Play station 2s, 2 computer terminals for internet access, music system and large screen TV with DVD. Activities will not be just restricted to indoor activities. A regular weekly activity schedule includes beach volleyball, beach soccer, water volleyball, and slippery pole pillow fighting all included within the program. Complimentary welcome drink, fruit basket and special gift. Must be stated as Honeymoon at time of booking and proof of marriage may be required on arrival. 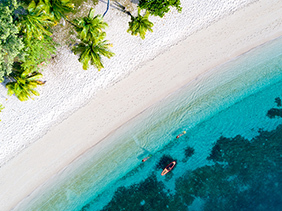 Choose from a variety of locations within the lush green tropical resort setting or the beautiful beachfront. 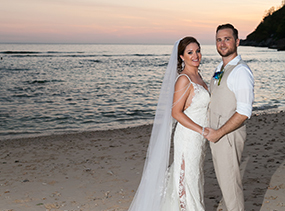 Wherever you choose, the Bali Dynasty Resort is the perfect place for a wedding ceremony. An experienced team of people are able to assist you to ensure a perfect and romantic wedding celebration. 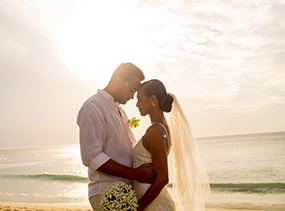 The resort can tailor a package to your wedding requirements, details are available on request. South Kuta is located only about 10 mins from the airport and a short walk to Major malls such as Discovery Mall shopping center and also Waterbom Park. Known to be slightly quieter from the main area of Kuta. 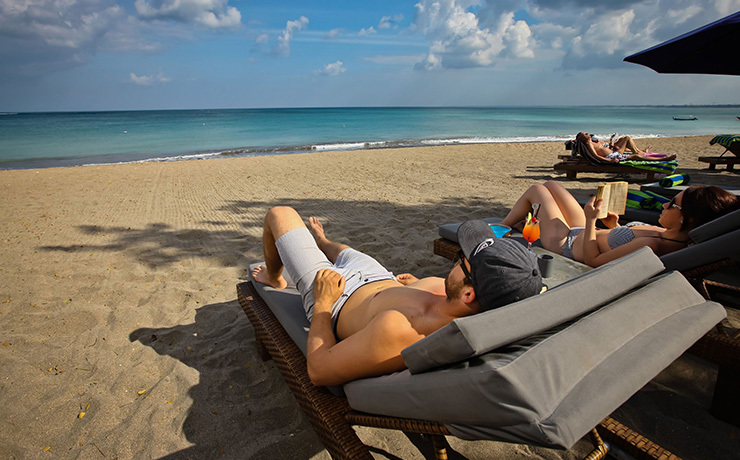 South Kuta provides a range of beachfront and non beachfront accommodation and many have excellent facilities for children making it very popular with families. Kuta is Bali's most well known and busiest tourist area with a wide range of accommodation for all budgets. Kuta is known for it's huge range of shopping from markets through to shopping centres, restaurants and bars. Once the sun goes down Kuta is buzzing with a plethora of bars, pubs and dance clubs! 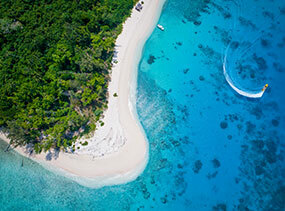 Call us now and let one of our specialist consultants customise the perfect Bali holiday for you. Advertised price not valid during school holidays, Christmas and New Year. Prices are per person and include airfares, all taxes, transfers and twin share accommodation. Prices are subject to change without notice due to currency, tax fluctuations & fuel surcharges. Special airfare ex SYD, MEL & PER seats are limited all departures subject to availability. Garuda no longer departs from Brisbane - please contact a Holiday Champion who can give you the best available fare for your dates.